Client and staff from AMH New Horizons North Down & Ards were delighted to be invited for refreshments in the Mayor’s Parlour with Cllr Peter Martin, Mayor North Down Borough Council. 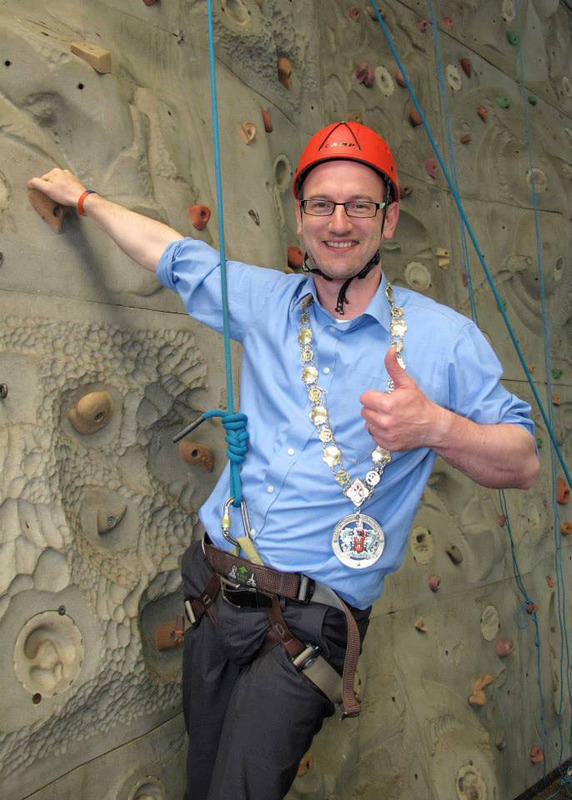 The Mayor had attended the recent AMH Client fun day at Crawfordsburn and was interested to find out more about the work of AMH in the North Down area. 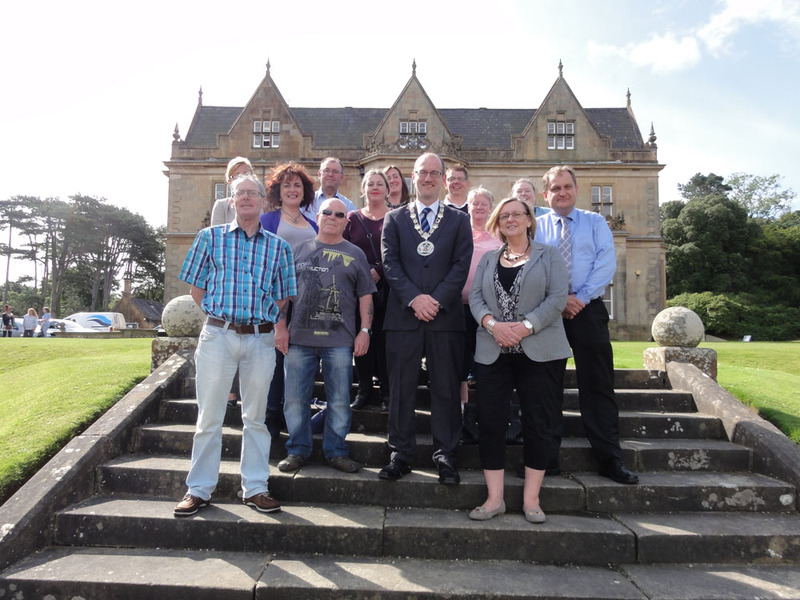 Cllr Martin listened to clients experience of the vocational training and personal development programmes which AMH provided and responded to questions which clients had about the new ‘Super’ Council’s role in promoting positive mental health and wellbeing within the area. Cllr Martin even shared several tips, which he had found helpful in becoming confident at public speaking. At the end of the visit Cllr Martin provided everyone with a tour of the Council Chamber, overview of how the Council works and history of the building. Selwyn Johnston, Service Manager, AMH New Horizons North Down & Ards thanked the Mayor for his kind invitation to provide an update on AMH’s work in the North Down area and looked forward to linking up with the Council for further events around World Mental Health Day on October 10th. Cllr Martin commended the work of AMH and outlined that maintaining positive mental health and wellbeing was a priority for everyone in the Borough.